Grain dealer, MLA (1946-1949), MLA (1950-1953), MLA (1954-1957). Born at Greenock, Scotland on 16 September 1894, son of John McDowell and Janet Shaw, he came to Canada in 1895 and was educated at Toronto, Ontario. During the First World War, he served with the Royal Flying Corps. He was President of the McDowell Grain Company and Ridgewood Development Company, and President of the Board of Governors of the Winnipeg Grain Exchange and the Shriners’ Hospital for Crippled Children. 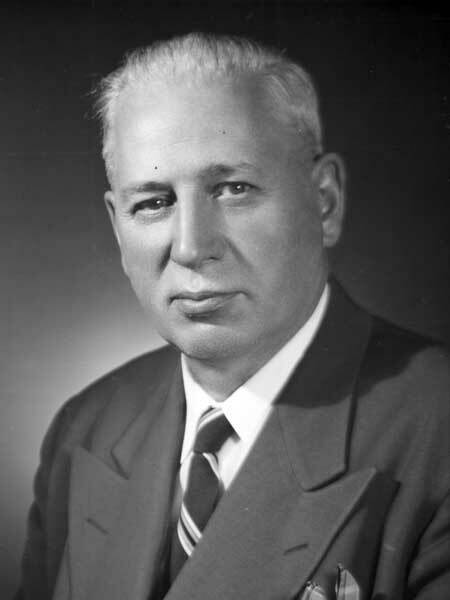 First elected to the Manitoba Legislature in 1945, he resigned in June 1949 to run federally in the Selkirk constituency but was defeated by “Scottie” Bryce. He was re-elected at the 1949 and 1953 provincial general elections. He ran as an Independent Conservative in the Winnipeg South Centre constituency in the 1968 federal general election but came in a distant fourth place. He was a member of the Masons, Khartum Shriners, and Winnipeg Progressive Conservative Club. He died at the King George Hospital on 10 June 1980 and was buried in the Kildonan Presbyterian Cemetery. Obituary, Winnipeg Free Press, 11 June 1980, page 70.